Product prices and availability are accurate as of 2019-04-19 10:05:08 EDT and are subject to change. Any price and availability information displayed on http://www.amazon.com/ at the time of purchase will apply to the purchase of this product. DisplayPort Cable Tester: An Essential Tool for A/V Cable Installers Avoid the problems and costly troubleshooting caused by a bad DisplayPort cable. This DisplayPort tester allows you to quickly and accurately verify DisplayPort and Mini DisplayPort cables before installing them behind walls and in other tough-to-reach places. It's recommended for installers of digital signage applications and home theater systems who need to verify straight or crossed connections and open or short circuits. Features 2 Adjustable Test Modes: Continuity and Sweep Quickly validating whether a faulty DisplayPort cable is the issue in a malfunctioning application can save you time, trouble and money, as can detecting a faulty cable before you install it. The T040-001-DP flips from sync testing (Continuity) to step-by-step testing (Sweep) at the touch of a switch. 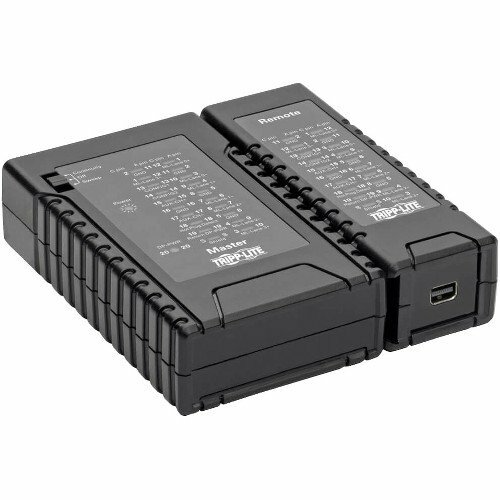 It displays a 19 pin-to-pin wire map and shield connection status to ensure mapping continuity and proper configuration. 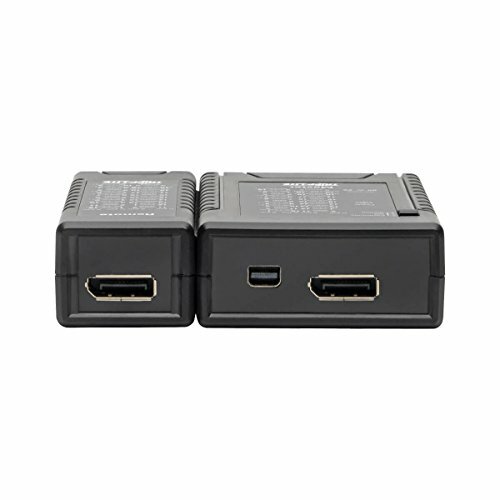 The DisplayPort tester is compatible with DisplayPort versions 1.0 through 1.4 and cable lengths up to 49 feet (15 meters).Easy to Store in Your Toolbox and Take to the Job Site This DisplayPort tester consists of a main tester unit and a removable remote identifier that are secured in a protective carrying case when not in use. 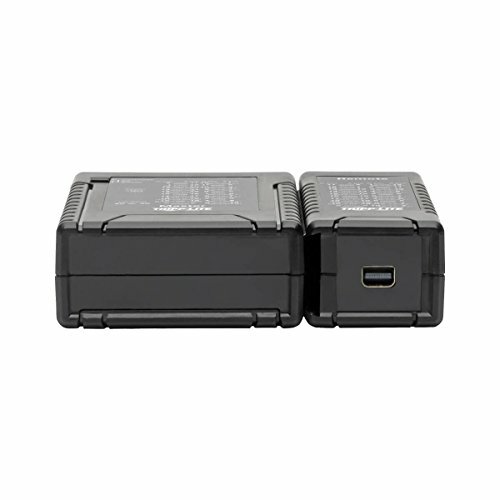 The tester units are powered by a standard 9-volt battery (not included). To test a cable that has already been installed, separate the two units and connect them to each end of the cable. 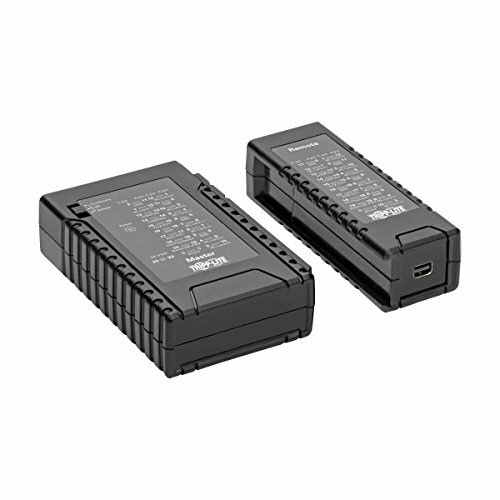 One-Year Warranty The T040-001-DP is backed by a one-year warranty, ensuring reliability and performance. DISPLAYPORT CABLE TESTER: DisplayPort tester quickly detects short circuits and crossed connections in DisplayPort and Mini DisplayPort cables up to 49 ft. Locate a faulty DisplayPort or Mini DisplayPort cable in an installation. ADJUSTABLE TEST MODES - CONTINUITY AND SWEEP: The T040-001-DP flips from sync testing (Continuity) to step-by-step testing (Sweep) at the touch of a switch. 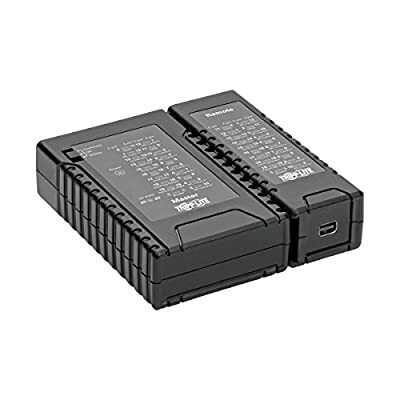 It displays a 19 pin-to-pin wire map and shield connection status to ensure mapping continuity and proper configuration. WIDE COMPATIBILITY: DisplayPort tester is compatible with DisplayPort versions 1.0 through 1.4 and cable lengths up to 49 feet (15 meters). 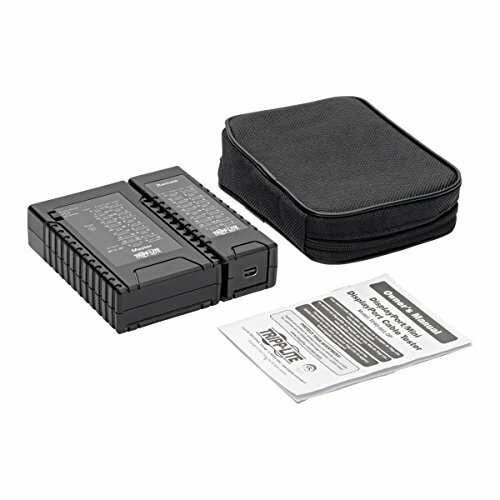 PROTECTIVE CASE: Protective carrying case fits in toolbox for use at cable installation sites. Also known as displayport cable tester / displayport tester / dp tester / displayport cables continuity testing / multi tester cable. 1-YEAR WARRANTY & FREE TECH SUPPORT: Our Chicago-based Tech Support Team is ready to assist you with any trouble-shooting techniques, configuration help, or warranty assistance. Call them at 773-869-1234 M-F 8am-6pm CST.